2013 WBC: Pizza, Spaghetti, and Baseball? Pizza, Spaghetti, and Rome are usually the three things you hear about when talking about Italy. However, baseball is quickly making its way into that conversation after the first two days of the 2013 World Baseball Classic. Italy has won their first two games of this international tournament, defeating Mexico and Canada both in surprising fashion. The Italians trailed Mexico 5-4 in the top half of the ninth inning yesterday, when they scored two runs off San Francisco Giants closer Sergio Romo to take the lead. Mexico left fielder Edgar Gonzalez (older brother of Los Angeles Dodgers Adrian Gonzalez) dropped a crucial fly ball hit by Anthony Rizzo of Chicago Cubs in the ninth inning, which allowed those two runs to cross the plate. Jason Grilli of the Pittsburg Pirates entered the game in the bottom of ninth to close out the 6-5 win for Italy. That late momentum from Italy yesterday was clearly carried over into today’s matchup with Canada. Italy took an early 1-0 lead in the first inning and added to it whenever an opportunity presented itself. They scored four more runs in the bottom of the third inning, after first baseman Chris Colabello hit a three-run homer to take a 5-1 lead. Colabello ended the game going 4-5 with four runs batted in. The Italy lead extended to 6-1 after five innings, but Canada scored one run in the sixth inning and two runs in the seventh inning to cut that lead to 6-4. Unfortunately, 6-4 was as close as this game was going to get. Italy scored three runs in the bottom half of the seventh inning and literally ended the game in the bottom of the eighth inning when they added five more runs to make it a 14-4 lead. The 14-4 lead invoked the “mercy rule”, which ends the game if one team leads by 10 or more runs after seven innings. One ninth inning comeback over Mexico, 17 hits and 14 runs later against Canada, and Italy is now at the top of Pool D with a 2-0 record. 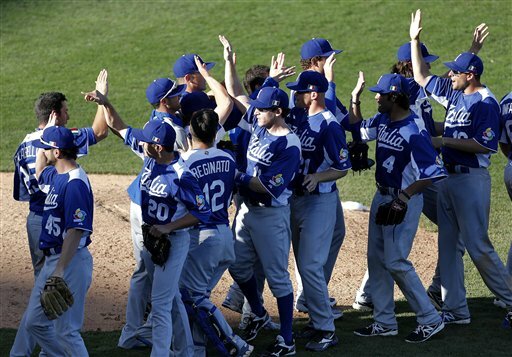 This 2013 Italy team has completely improved upon their last two WBC appearances in 2006 and 2009. The 2006 team won just one game over Australia, scoring a total of 13 runs in three games. The 2009 team again won just a single game over Canada, scoring a total of seven runs in three games. So, Italy has definitely outdone themselves through these first two games of the 2013 WBC, but from the looks of it this team will be a tough out for anyone going forward. Saturday, March 9th, 9:00 p.m. ET. The United States of America will start their 2013 World Baseball Classic journey later tonight, against Mexico, who is coming off of a devastating 6-5 loss to Italy in the Pool D opener yesterday. Joe Torre, USA manager, announced Monday that R.A. Dickey would be on the mound for their opener against Mexico. Dickey, 2012 NL CY Young Award winner and 20 game winner for the New York Mets. This 38-year-old right hander is actually familiar with playing for the red, white, and blue after competing in the 1996 Olympics for team USA in Atlanta, where he won two games and ended up with a bronze medal. 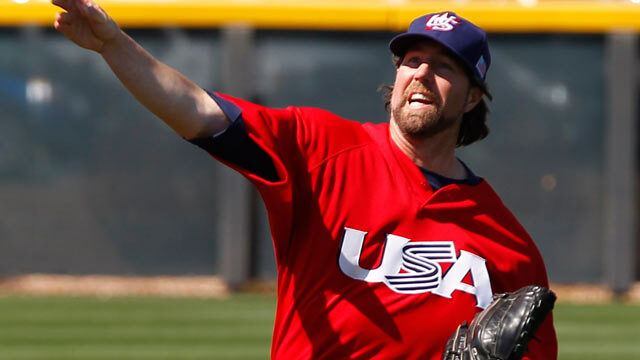 Dickey was the obvious choice for team USA because of his ability to throw the one pitch that you can’t prepare for and that’s the knuckleball. The famous pitch has become his trademark, which explains his 20-6 record, 2.73 ERA, and five complete games last season. He dominated throughout the entire 2012 MLB season and it’s safe to say that no one ever actually figured him out. So, how is Mexico going to figure him out tonight? The knuckleball could work against Dickey because on some nights you either have it working or you absolutely don’t. That’s just the reality of the pitch, but Dickey has made it work more often than not. If this pitch happens to be working for him tonight than Mexico could be facing elimination a lot earlier than expected. Jorge Cantu: 3-8, 2B, BB, SO. Friday, March 8th, 9:00 p.m. ET. Sunday, March 10th, 4:00 ET.